We’ve put together a list of our favorite dining venues in Metro Detroit. Arranged alphabetically and by city, the restaurants below were vetted by our expert team of taste testers! Now, you don’t have to take our recommendations but you may end up hungry and cranky if you choose otherwise! Many of our favorites offer group discounts to Metro Motor Coach guests. Contact our Metro Motor Coach representative today to find our more information. 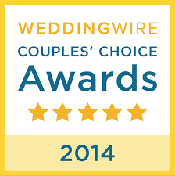 Why do we love Sava’s?… because this venue has it all! Scrumptious cuisine offered nowhere else and a full range of specialty mixed drinks & craft beers make Sava’s the clear choice in Ann Arbor dining. Enjoy your stay in Sava’s warmly captivating dining room or enchanting outdoor garden seating! For the larger of groups, take advantage of Sava’s mezzanine seating area overlooking the main dining floor. As our favorite Ann Arbor, MI dining spot, we are pleased to provide Metro Motor Coach guests with *10% off of their entire dining experience, courtesy of Sava’s! *Restrictions apply. Advance reservations required. Contact a Metro Motor Coach representative for details. Enjoy a great meal with your *25.00 of free play at Motor City Casino’s award-winning buffet! Their chefs prepare the best in American and international cuisine with premium ingredients right before your eyes. Enjoy warm breads from the bakeshop, freshly rolled sushi, choice cuts of meat and top it all off with a delicious create-your-own dessert. Enjoy award-winning cuisine by Executive Chef Chris Franz & Chef de Cuisine Jeff Lanctot while taking in the view of the big city skyline & Canada’s shore. In the warmer months, our Garden Terrace offers our complete menu & service complemented by river breezes, just steps from the Detroit RiverWalk. Entertain your guests in style in one of five private dining rooms or let our professional catering staff come to you. 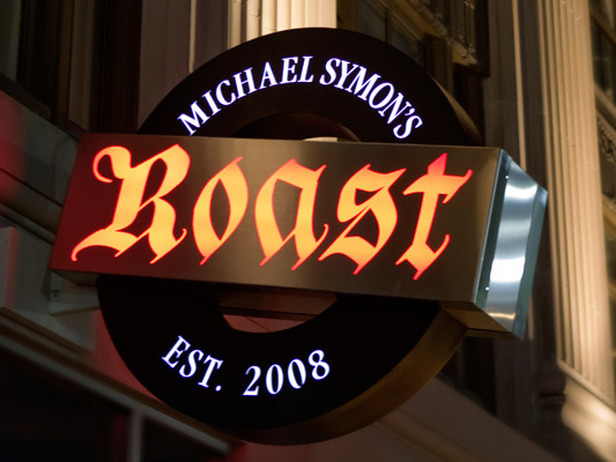 Roast, A Michael Symon Restaurant is all things meat! Including wood fired Dry Aged Steaks, Rotisserie meats, Charcuterie and Heritage meats. Roast also offers fresh seafood. Totally American but with signature Mediterranean flavors and textures, Roast is an upscale flavor house that highlights Iron Chef Michael Symon’s unique ability to blend old and new into cutting edge cuisine! With a breathtaking view overlooking the Detroit River, The Rooster Tail offers an unmatched dining ambiance. It’s not all about looks though! The Rooster Tails expert chefs and an accommodating staff offer an unmatched palette pleasing experience. The Rooster Tail should be at the top of your list for parties of all sizes. Advance notice reservations required. The greatest innovation to traditional steak houses in the heart of Detroit! Texas De Brazil Churrascaria is a Brazilian style steak house. What’s the difference you ask?… Everything! Serving only the finest cuts of pork, beaf, chicken, and seafood – Texas De Brazil distinguishes itself apart from other specialty steak venues in that guests are served fresh cut portions of their choosing table-side. Whatever your palette calls for is brought to your table and served right onto your plate – by men wielding very large / sharp knives… so tip well! The Capital Grille experience includes aged beef, award winning wine, and private dining. This fine dining restaurant is a staple in the Troy community. Elegant private rooms and a warm welcoming team promise an unforgettable dining experience. “Upscale dining that’s affordable, approachable, and recognizable,” We couldn’t of said it better ourselves… Square Lake Diner boasts a full menu of mouthwatering dishes and a wide assortment of mixed, bottled, and draft beverage selections. Reasonable priced meals and drinks complimented with a warm atmosphere and the finest hospitality in the area makes the Square Lake Diner our #1 choice in dining in Troy! This place is a hidden gem – so don’t tell everyone! As our favorite Troy, MI dining spot, we are pleased to provide Metro Motor Coach guests with *10% off of their entire dining experience, courtesy of the Square Lake Diner! Voted the 2013 Restaurant of the Year by Hour Magazine, Tre Monte is a Metro Detroit dining treasure! The elegant restaurant is nestled a comfortable distance away from the hurried traffic of Big Beaver Road which makes for a tranquil outdoor dining experience on the terrace. The only disturbances to your 5 star dining may come from the outdoor Bocci court provided to Tre Monti guests. Tre Monti is the premier fine dining destination in Troy… complete with an elegant main dining room, private dining rooms, an enchanting banquet facility, and delectable dishes served & prepared by a cordial and accommodating team.